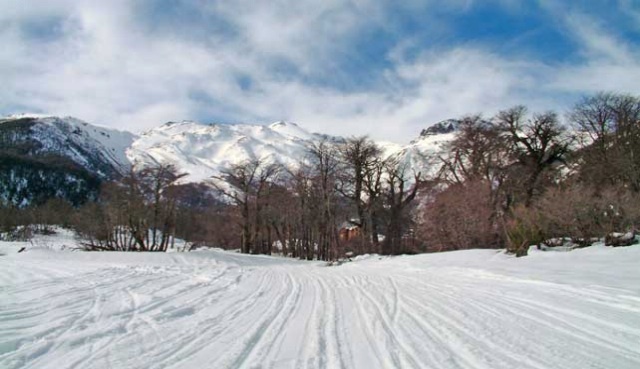 There are high mountain snow resorts just 1 hour from Santiago. 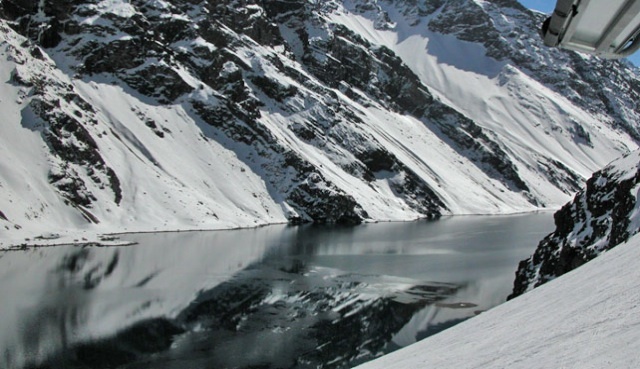 You can actually shoot up in the mountain and sleep at your hotel. 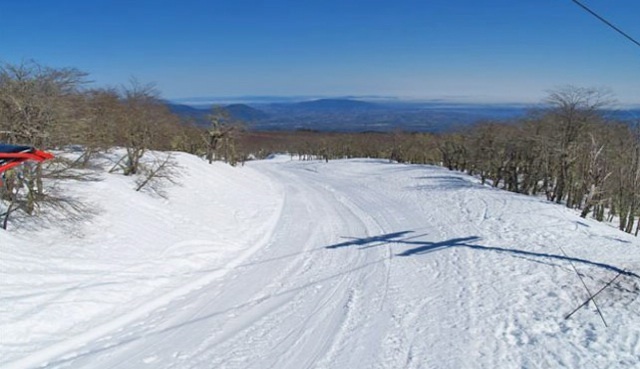 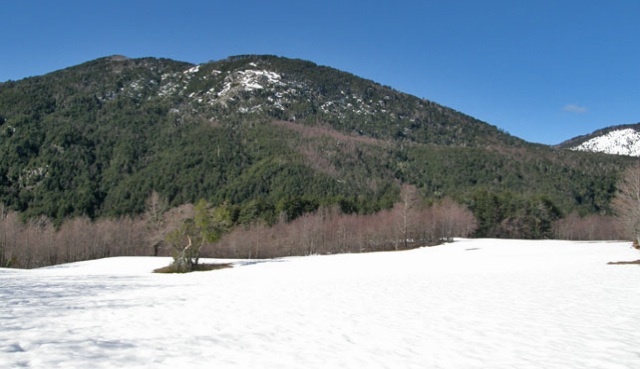 As for snow below treeline, you can find excellent locations starting 400 kms South of Santiago. 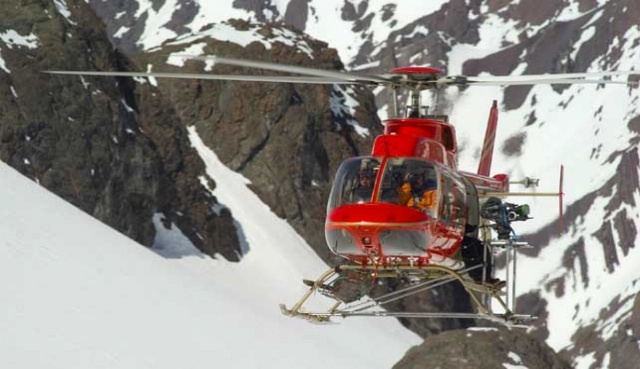 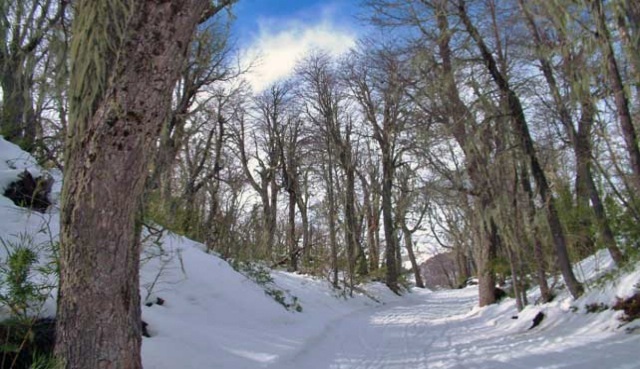 The snow season in Chile begins in June and ends by the end of September. 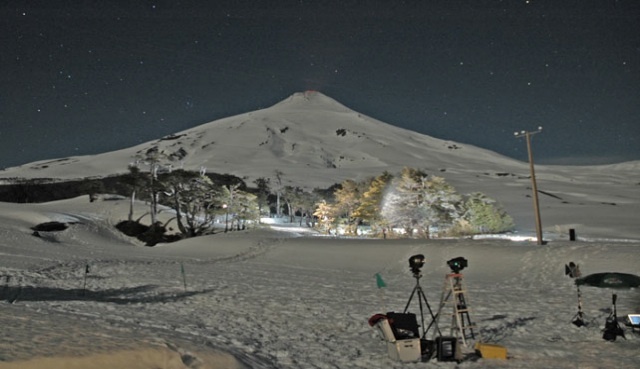 Some snow lasts until November, even December at southern volcanoes.